I grew up queer last century to war-scarred European parents, which somewhat explains why I’m deeply private, but I’m delighted to meet you anyway. At heart, I simply write stories about passionate love between women. These are drawn from experience, anecdote, and pure imagination. Because of a lifetime interest in the metaphysical and the paranormal, such themes pepper the stories, adding flavour and interest for me. I write what I want to read and avoid swathes of description; plenty of chat and very visual action is what I like and that’s what you get. For those with any questions or comments, feel free to use the contact form. As an Antipodean, the settings are mainly Australian but the themes are universal. Astrology offers considerable insight into archetypal personalities and their development during life’s inevitable cycles. I harvest its wealth of wisdom to craft intriguing individuals and plot events. The works of Colette and Patricia Highsmith taught me the pleasures of flawed characters, and I strive to make mine similarly interesting. Playing to this illusion of reality that we live in, I agree we are all entangled, all in this together. Thanks for popping in. 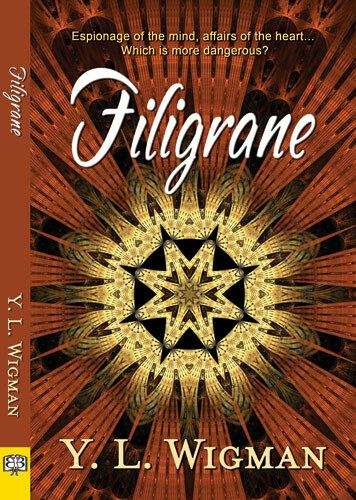 Emerging from a career in research and public policy, Y.L.Wigman has parlayed her skills and experience into the pleasure of telling heart-felt stories. Her passions for studying the human condition, spirituality and astrology are evident in her work. With extended family nearby, she lives in Bandicoot Hollow, a cottage in the hills above Perth, Western Australia.